Paul Bealin can thank Mattie Forde for his first championship win as Wexford manager – Forde struck 0-12 as the Model men romped to a 1-19 to 1-13 victory over Meath at Croke Park. Forde helped book Wexford's place in the Leinster SFC semi-finals, where they will face Offaly on June 18, with a stunning display of scoring in front of a headquarters' attendance of 32,237. The 2004 All Star played in Paddy Colfer for a drilled 16th-minute goal, pushing Wexford into a 1-08 to 0-06 lead for half time. 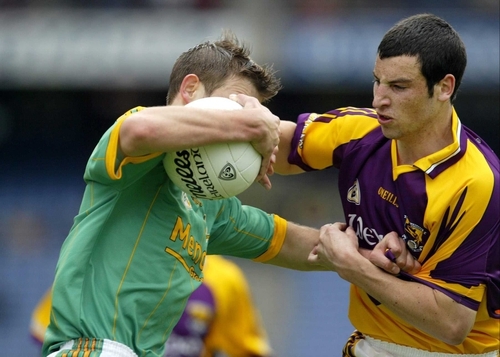 Meath had wing-forward Peadar Byrne red-carded on 27 minutes for lashing out at Rory Stafford. Meath's goal simply came too late from substitute Anthony Moyles and it will be the back door route for Eamonn Barry's side if they are to have any say in the destination of the Sam Maguire Cup. 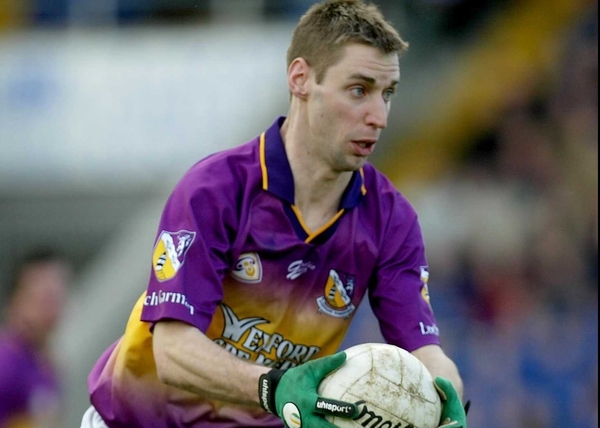 If Forde was peerless in front of goal, Wexford 'keeper John Cooper, the only surviving player from the counties' last championship clash in 1994, was on fire at the other end. The Adamstown clubman pulled off three saves in the first half – twice denying Meath full-forward Joe Sheridan and also tipping over an effort from top scorer Daithi Regan (0-05). His 12th-minute stop was the best as Sheridan beared in on goal and Cooper dived full length to his right to touch the ball around the post. Still Sheridan (0-02) and Regan had three points on the board for Meath before Forde's searching ball picked out centre-forward Colfer who drilled home to the Meath net past Brendan Murphy. 1-04 to 0-03 in front, Wexford tagged on two more points with captain and championship debutant and captain Ciaran Deeley on target and Forde grabbed his fourth of the afternoon in the 22nd-minute. Meath's hopes were further rocked, five minutes later, when Byrne was given a straight red for tussling with Rory Stafford off the ball. Five points clear at half time, Wexford moved 1-10 to 0-07 ahead thanks to Forde's seventh point – a free – early in the second half. Forde's best score arrived on 58 minutes when he converted a brilliant line-ball from an acute angle – a stunned Meath, who hit 10 wides to Wexford's 8, had no answer to the Kilanerin forward's class. Royal supporters did raise a cheer when Moyles, who broke his arm last month, came on for final quarter-hour and had a decent impact in his comeback game. On for captain Nigel Crawford, Moyles slammed home Meath's goal – two minutes from the end – firing high into the top left-hand corner of Cooper's goal. Caomhin King added another point, but it mattered little as Wexford move on. Afterwards, former Dublin player Bealin said: "It's great to get my first championship win as a manager, but I'm more pleased for the players. They put a huge effort in and deserved that victory. "We won the game in the first half and laid the foundations there. "I'm pleased for Mattie – he does get a fair share of criticism. He played very well. It's only the first round of the championship so we won’t be getting carried away." WEXFORD: J Cooper; C Morris, P Wallace, N Murphy; P Curtis (0-01), D Murphy, G Molloy; D Kinsella (0-01), R Stafford; C Deeley (capt) (0-03), P Colfer (1-00), R Barry; L Murphy (0-01), PJ Banville, M Forde (0-12 (2f)). MEATH: B Murphy; N McLoughlin, K Reilly, N McKeigue (0-01); T O’Connor, C King (0-01), S Kenny; N Crawford (capt), M Ward; P Curran, G Geraghty (0-02), P Byrne (0-01); D Regan (0-05 (2f)), J Sheridan (0-02 (1f)), B Farrell (0-01 (1f)). Subs used: B Lynch for Ward (45 mins), M Doran for Farrell (50), N Kelly for Curran (51), A Moyles (1-00) for Crawford (54), R Magee for Sheridan (57).